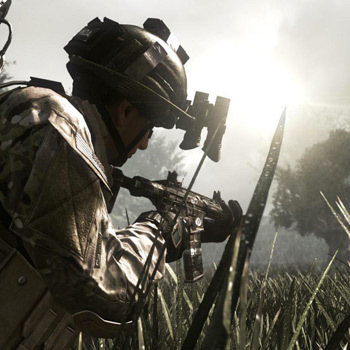 In an effort to send 2013 off in style, Microsoft has announced a worldwide discount on Call of Duty: Ghosts. For the last 15 days, Microsoft has been slashing the prices on an assortment of titles. So far, games like KillerÂ is Dead, LeftÂ 4 Dead 2, and NBAÂ 2K14 have been discounted. Today, though, the industry's biggest franchise is getting a major price cut. At first it might seem like Australians are getting the royal treatment, what with their 40 percent discount, but purchasing a videogame in Australia is often ridiculously expensive. So, they probably deserve the extra savings. No matter where you live, though, you can expect to save at least 25 percent on your purchase. The discount only applies to purchases made on the Xbox Games Store, which means that Sony customers are out of luck. Plus, Xbox One owners will have to pay full price.